Crystal Cove is an incredibly beautiful location for engagement photography. 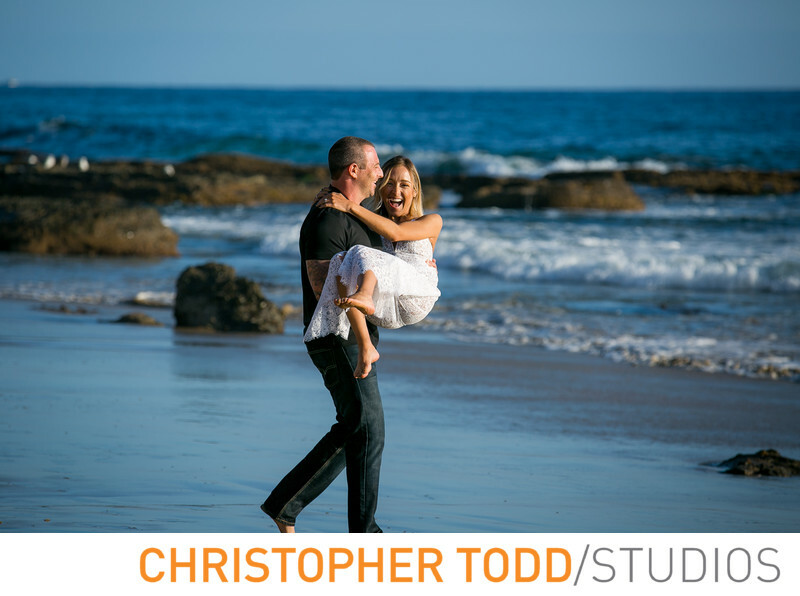 I am fortunate to be a photographer in Orange County with great engagement locations like Crystal Cove State Park. The area offers an untouched atmosphere to create engagement photos that feel a thousand miles away from Orange County. The best time to visit is during the week, when the beach is absolutely a ghost town. Crystal Cove is not your typical flat boring beach. You can start your session in the parking lot at the end of Newport Coast Drive and Pacific Coast Highway. Parking fee is $15. There are 3 or 4 different parking lots. I personally like the closest one to the pay booth at the entrance to the state park. At the bottom of the bluffs you will typically find the beach empty. Sometimes it feels like you're not in Orange County. If your luck there will be a log or giant piece of driftwood to use as a prop for photos. There are also many exposed rocks that look incredible in engagement photos. As you walk South East down the beach you will notice the Crystal Cove Cottages. They make a quaint background for engagement photography with a very east coast feel. Each cottage is unique with a personality of its own. They are also available to rent through reserveamerica.com the California State Parks online booking service. As you walk towards the beach there are dirt and asphalt paths that weave through tall grasses and thickets as you approach the bluffs overlooking the Pacific Ocean. The views to the south east are particularly incredible in the afternoon when the ocean looks the most blue with Sandstone cliffs and Laguna Beach off in the distance. It is possible to make very striking portraits on the bluff with extremely vibrant colors here at this time of the day.